Accessory liability is an often neglected but very important topic across all areas of private law. 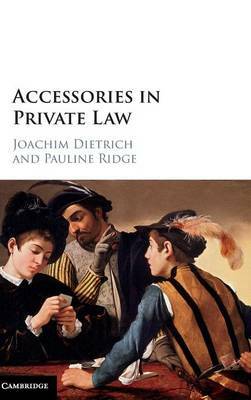 By providing a principled analytical framework for the law of accessories and identifying common themes and problems that arise in the law, this book provides much-needed clarity. It explains the fundamental concepts that are used to impose liability on accessories, particularly the conduct and mental elements of liability: 'involvement' in the primary wrong and (generally) knowledge. It also sets out in detail the specific rules and principles of liability as these operate in different areas of common law, equity and statute. A comparative study across common law and criminal law jurisdictions, including the United States, also sheds new light on what is and what is not accessory liability.